Vacuum Pre-Heating Mixer For Oil Gel - High quality Taiwan Vacuum Pre-Heating Mixer For Oil Gel provides by Mei Tai Co., Ltd.
1. Power as customer? s demand. 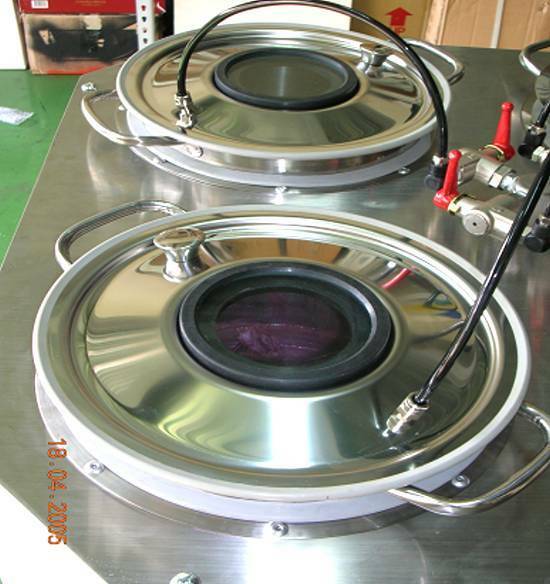 2.4sets stainless tanks, bottom-layer mixer. Easy to clean. 4. The mixer & motor of tank have independent & separate. Easy to operate. 5. After heating &dissolving can make vacuum treatment. 6. The advantage of vacuum are a) Extract bubble & moisture. b) After extracting raw material will be soft to make good bright surface. 7. There? s a window on the vacuum cap to see the inside operation. 8.1 year guarantee within normal operation.